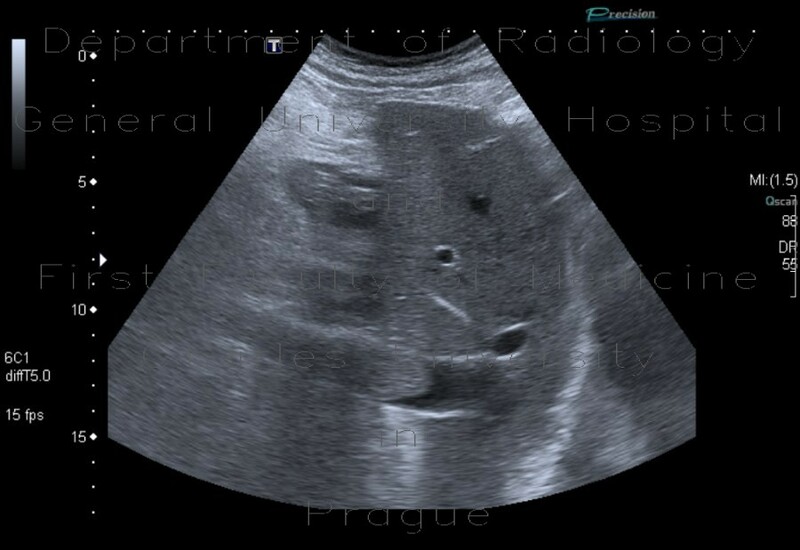 The ultrasound images show echoic filling of the lumen of the inferior vena cava which representes a thrombus. There is anechoic lumen above it, because the thrombus end in the hepatic portion. Moreover, there is a round expansion in the right adrenal gland representing adrenal metastasis - this cannot be told from ultrasound itself, however.